I started dyeing my hair in the first place because I wasn’t happy with how it had naturally changed as I became a teenager. Almost overnight, it went from a beautiful, dark gloss to this mousey, drab color that was possibly the most boring thing I’d ever seen. When you’re a kid, you don’t ultimately have a lot of say over your hair or your clothes. Sure, you might be able to choose what to wear from whatever range of clothing you have — but someone else is still buying them for you. Someone else is also growing out — or cutting — your hair, most of the time. My memory is hazy on the exact shade and brand of my first box of dye because I didn’t love it, and I quickly moved on to something else. When I was using permanent drugstore dyes, I never ventured lighter than various shades of red. I’d never wanted to be blonde and soon after I decided to go bright, my first experiences with bleaching my hair confirmed to me that blonde wasn’t a great color for me, anyway. Bleaching your hair yourself is slightly terrifying — because you’re constantly conscious that it could go terribly wrong. That’s also why it was fun — that, and knowing that I would shortly have the kind of unnaturally bright hair that made me smile every time I saw it. 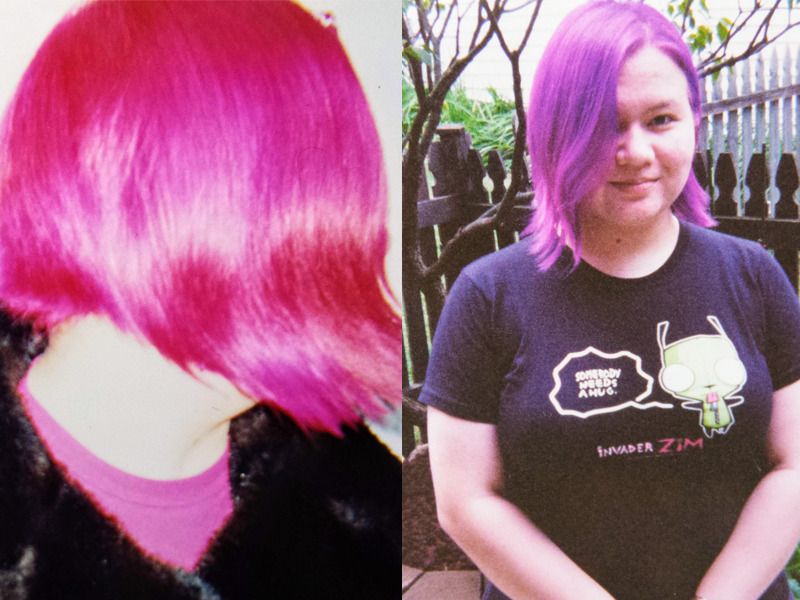 I loved having brightly colored hair — but every time you wash it, some of that dye swirls down the drain. If you’re super happy with your hair color, watching it wash away is incredibly disheartening. Not only that, but I was also dyeing everything around me if I wasn’t careful. I had to be extremely cautious about what clothes I wore and I even resorted to wrapping an old t-shirt around my pillowcase so that I didn’t inadvertently dye my pillow when I slept. That’s all on top of the ever-increasing knowledge that constantly touching up the bleach wasn’t the healthiest hair choice I could make. I grew up hearing that bleaching your hair would damage it permanently — and part of me believed it, but part of me also just wanted those colors and would do what I had to do to get them on my head. I hadn’t seen my natural color in years, and I wondered what it would even look like anymore. Would I hate what it had become as much as I did when I was 13? After all, I had been dyeing it some kind of alternate color for well over a decade by the time I stopped. 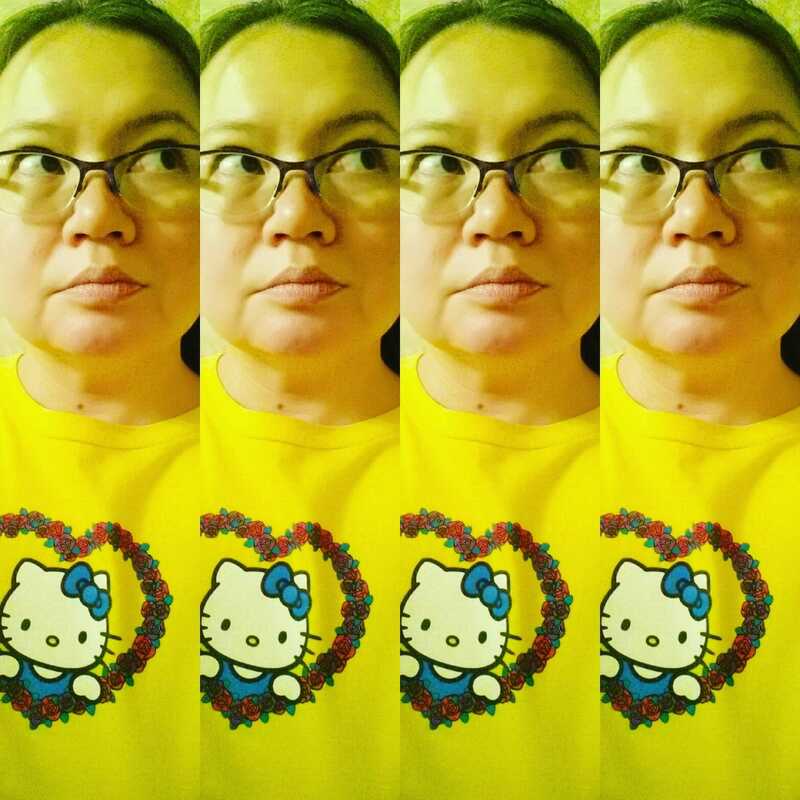 Plus, considering the years spent bleaching my hair, I wondered if it would be so damaged that I’d have no choice but to keep dyeing it if I wanted it to look OK. It turns out that my natural hair isn’t so bad after all — as long as I take care of it properly. I’ve now grown it out for a few years — to the middle of my back. I wear it up most of the time, but it’s nice to be able to do braids and other long hairstyles when I want. When I was bleaching it, I kept it bobbed because it was much easier to deal with touching up shorter hair than longer hair. I also didn’t want to deal with the inevitable breakage that would have happened — not to mention juggling multiple jars of semi-permanent dye, and the even greater amount of time that my process would have taken with longer hair. I do miss the bright colors a lot, but I definitely don’t miss the mess or the time I spent to keep up that level of brightness. If you choose to have long hair, it is a lot easier without adding the extra stress of hair dye into the mix. Today my hair is a lot easier to upkeep and, despite what teenage me thought, my natural hair color is pretty great. Experimenting with brightly dyed hair can be fun but for me, there’s nothing like my healthy, natural hair.